Blackbutt Reserve today owes its existence to a strange combination of business prosperity, national adversity, and private tenacity. The current area of the Reserve lies wholly within the boundaries of a coal mining lease of the Scottish Australian Mining Company. The eighteen hundred acre lease extended from Kotara South to Jesmond. Mining commenced in 1863, and apart from occasional downturns, the colliery prospered. Therefore, above ground there was little development apart from buildings such as pumping stations, required to support underground mining operations. However, with the depletion of coal, and rising land taxes, the S.A.M Company looked for other income, from real estate. Between 1915 and 1928 the company developed and sold a few small subdivisions in Lambton, New Lambton, and Kotara. 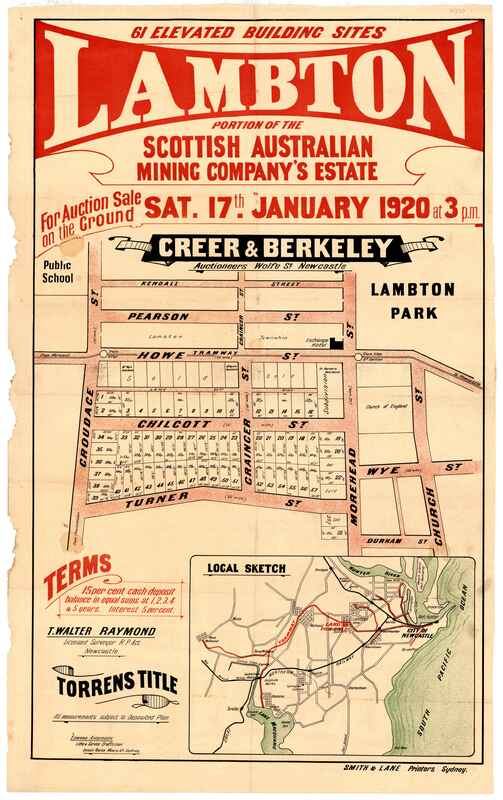 In June 1932, they attempted to auction a large parcel of land, in what is now the southern part of Blackbutt Reserve. The nation at this time however, was suffering the adversity of economic depression. There was little appetite for land purchases, and only five of the 52 lots on offer were sold. 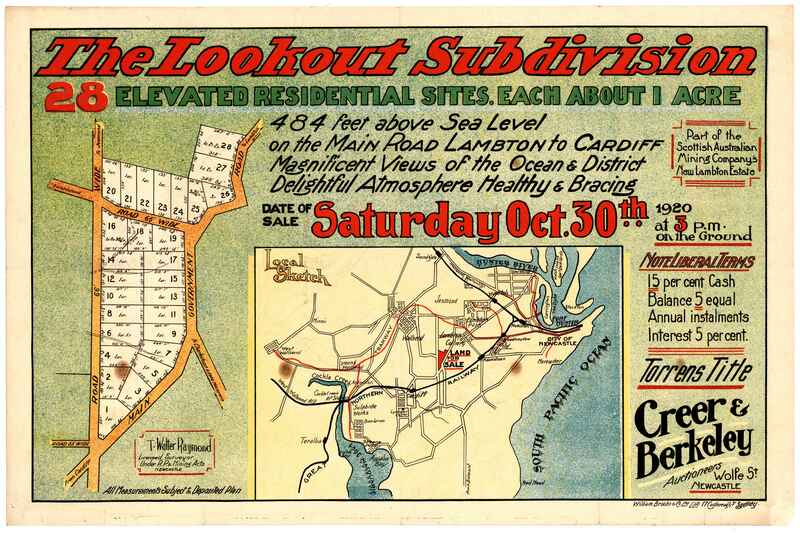 The failure of the auction thus left open a window of opportunity for local councils to purchase the land for a nature reserve, starting with 17 acres on Lookout Road in 1938, and increasing to 144 acres by 1940. 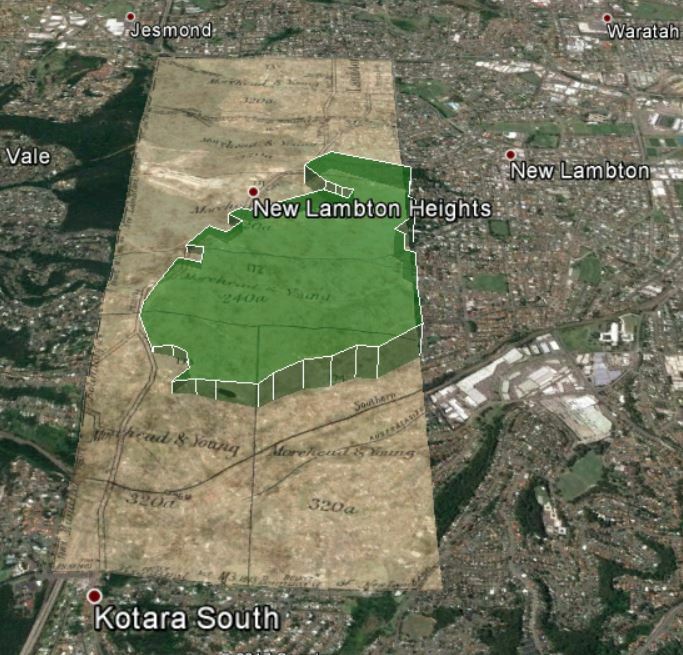 In 1956, Newcastle Council bought another 270 acres from the S.A.M. Company, in what is now the northern part of Blackbutt Reserve. Council wanted to subdivide all this land for housing, but through the tenacious opposition of private citizens and community groups, this development was blocked. Instead, the land was added to Blackbutt Reserve. 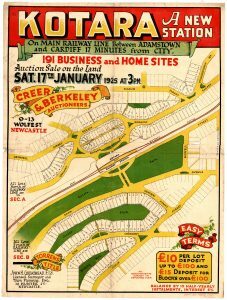 Community opposition had to swing into action again in 1966 to prevent the Department of Main Roads building an expressway through the Reserve. 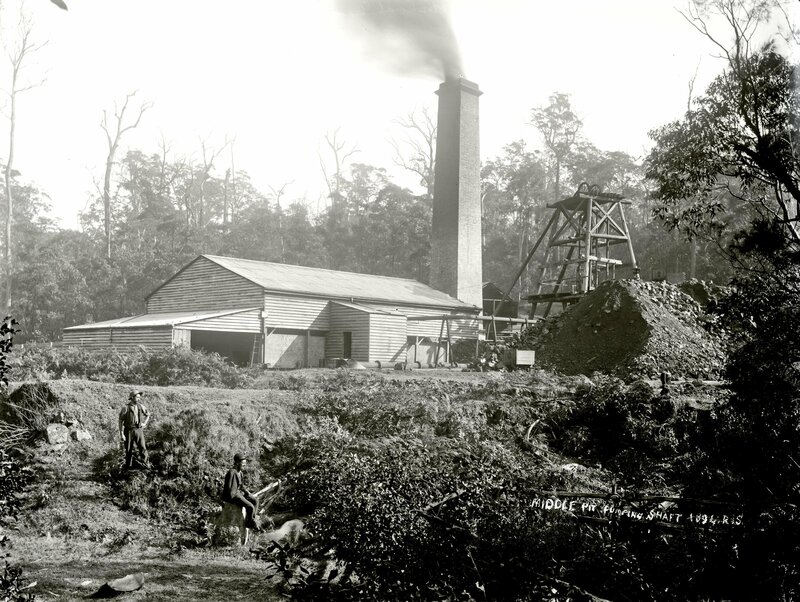 Many individuals worked tirelessly for the establishment and preservation of Blackbutt Reserve. One in particular, Joe Richley, president of the Northern Parks and Playgrounds Movement for 20 years, is commemorated in the name of Richley Reserve. 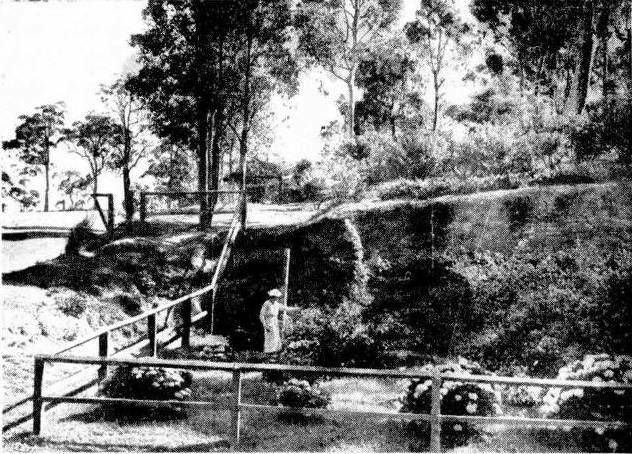 Middle Pit pumping shaft, 1894. Located where the entrance to Richley Reserve is today. Photo by Ralph Snowball. University of Newcastle, Cultural Collections. The approximate site of Middle Pit in 2017, at the entrance to Richley Reserve. The article above was first published in the July 2017 edition of the Lambton & New Lambton Local. One of my main sources in researching and writing this article was “A History of Blackbutt Nature Reserve” by John Ramsland, University of Newcastle, a manuscript written for the Blackbutt Reserve Local Committee as a contribution to the Australian Bicentennial Celebrations. A copy of this manuscript is held in Newcastle Region Library Local Studies Section, Q719.32/RAM. From the Newcastle Morning Herald, 12 Jan 1937. Two views of Blackbutt Reserve, which is being acquired by the municipal councils of the district for retention as a public park. From the shelter shed there is a commanding view of Newcastle. Newcastle Morning Herald. 12 Jan 1937. 1888 map showing mining leases of Scottish Australian Mining Company. NSW Land and Property Information. 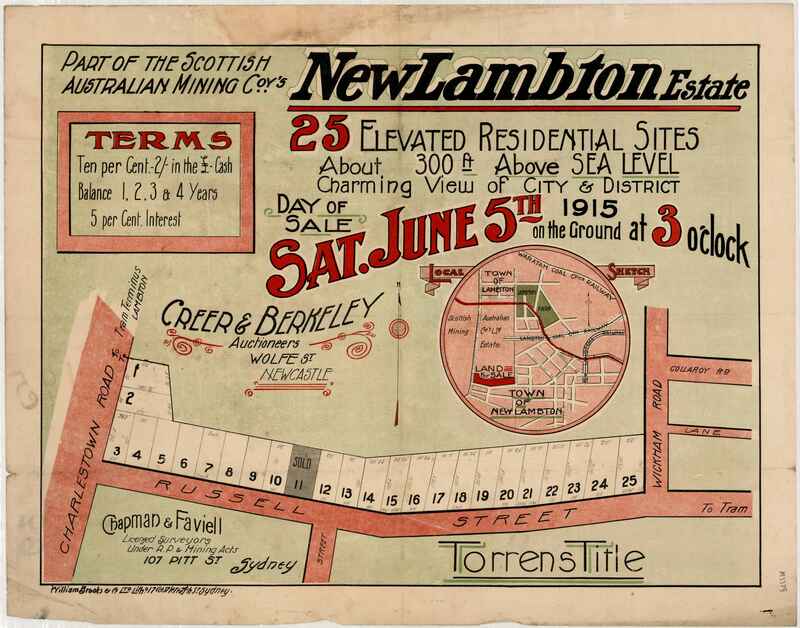 Fifty years after mining commenced in 1863, a 1913 War Office map shows that the only area of the 1840 acre mining lease with residential development is the township of Lambton in the north west corner. Portion of 1913 War Office map of Newcastle, with 1840 S.A.M. lease outlined in blue. National Library of Australia. 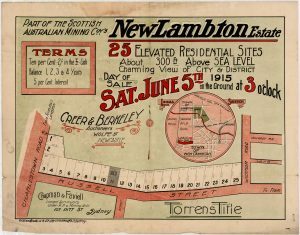 From 1915, the Scottish Australian Mining Company started developing and selling residential subdivisions, starting with 24 blocks of “Lambton Park Estate” fronting Howe St, in May 1915. 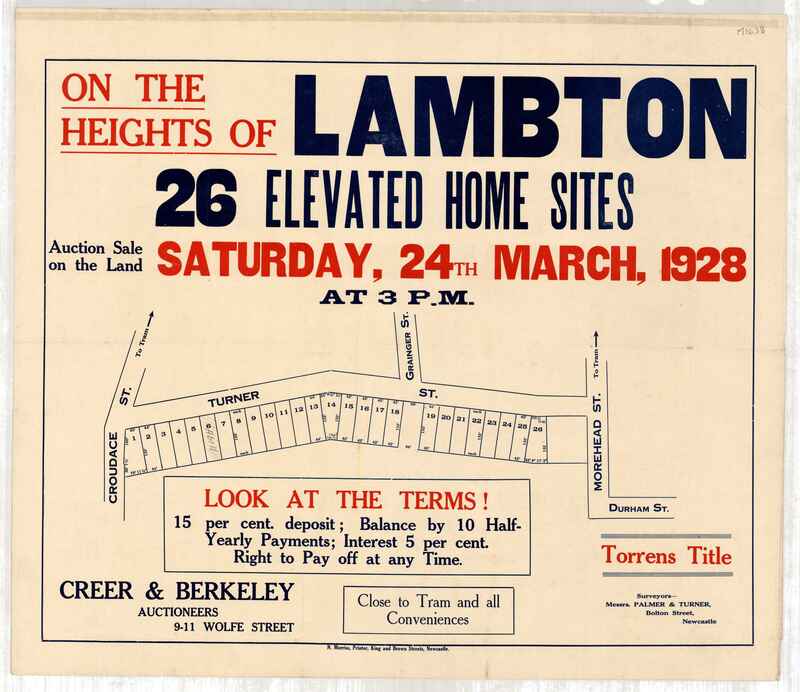 Fifty seven blocks surrounding Chilcott St Lambton were offered for sale in January 1920. 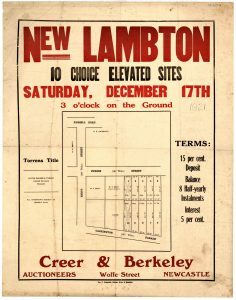 Twenty eight blocks in New Lambton Heights were offered for sale in October 1920. 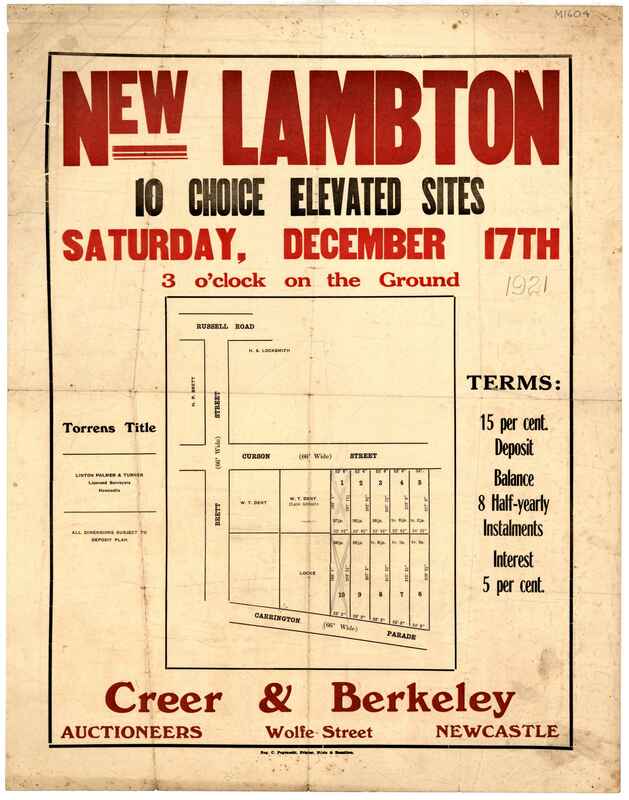 Ten blocks on Curzon St and Carrington Pde, New Lambton were offered for sale in December 1921. 191 blocks in Kotara were offered for sale in 1925. 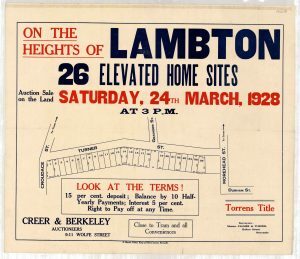 Twenty six blocks on Turner St Lambton were offered for sale in 1928. 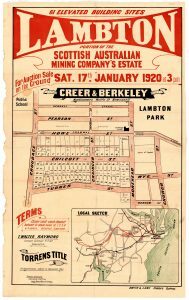 In 1932, the Scottish Australian Mining Company attempted to auction 52 blocks of land, totalling 480 acres. With the country in the grip of the Depression, the auction was a failure, with just five of the 52 blocks selling. 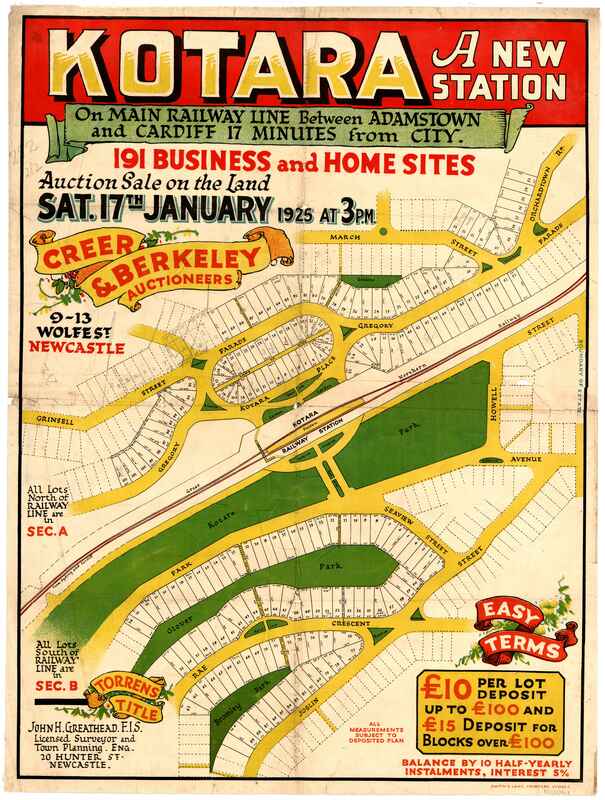 Poster for auction of land in Blackbutt Reserve area, 1932. University of Newcastle, Cultural Collections. 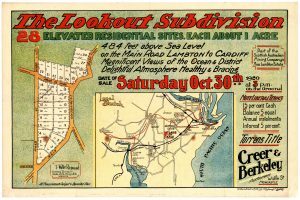 One of the blocks that sold was Lot 51, on Lookout Rd. This was bought by the Newcastle Branch of the Returned Sailors and Soldiers Memorial Institute. It was this block that became the first officially gazetted portion of Blackbutt Reserve in March 1938. The 17 acres and 3 roods of Lot 51 on Lookout Road, was the first portion of Blackbutt Reserve to be officially gazetted. University of Newcastle, Cultural Collections. By September 1940, the size of Blackbutt Reserve had been increased to 144 acres, as shown on this Parish Map of Newcastle. 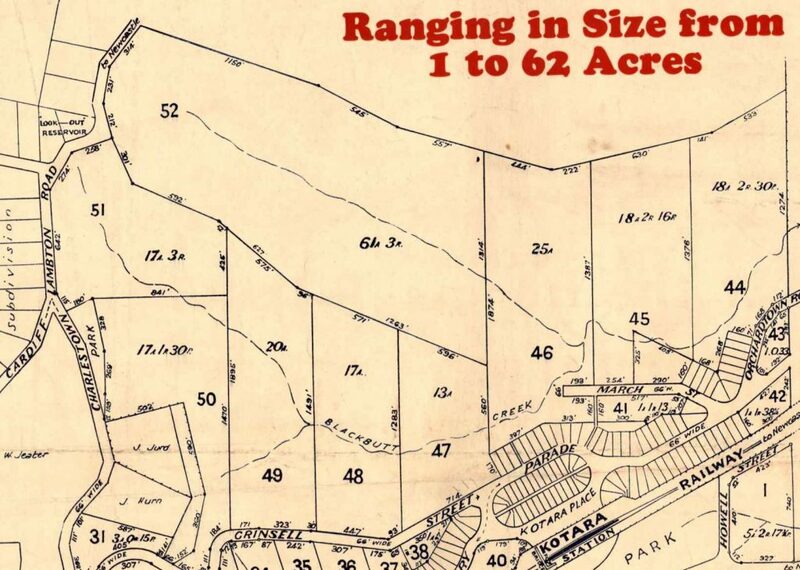 The 144 acres consisted of Lots 48 to 52, and part of lot 47 of the 1932 subdivision. Parish map of Newcastlem showing the boundary of the 144 acres of Blackbutt Reserve as of 13th September 1940. University of Newcastle, Cultural Collections. It is interesting to see how the modern boundaries of Blackbutt Reserve fall entirely within the S.A.M. Company’s mining lease, an indication of how the underground mining activities there in the 19th century left large areas of the surface undeveloped, and available for a nature reserve in the 20th century. Blackbutt Reserve in relation to the S.A.M. Company mining lease. The disused shaft is known in the locality as Middle Pit, and was formerly used in connection with the workings of the Old Lambton mine. Pit top gear, including an old rusted winding wheel, is still there, but the pit itself has fallen into disuse. It is in a deep gully, and nobody would suspect its presence when more than 100 yards away. Thick lantana has grown almost to the edge; briar bushes form a barrier between the outside world and the old shaft. The only sound is the sighing of wind in the gum trees. In the interests of safety the shaft has been enclosed by a tall galvanised iron fence. The ground at the foot of portion of the fencing has worn away, and through this hole the dog probably slipped in. In this 1944 aerial photo the location of Middle Pit can be seen in the bare area to the west of Freyberg St. Newcastle Region Library. Google Maps. Location of Middle Pit. Google Earth. 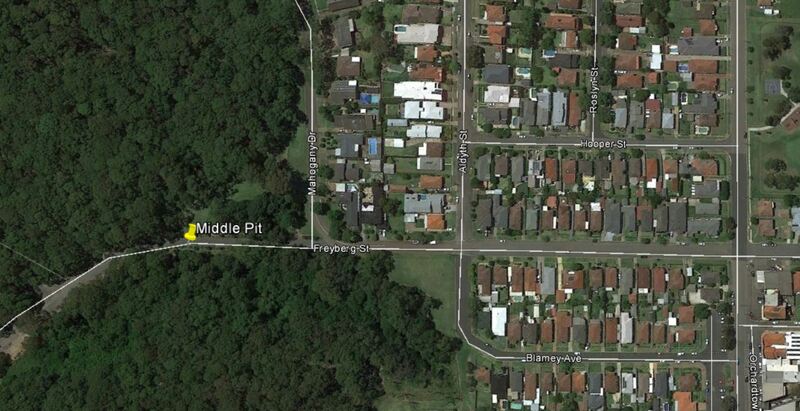 Approximate location of Middle Pit. The Hunter Living Histories site has a scanned PDF of a booklet “Save Blackbutt – the cas against State Highway 23 violating Blackbutt Reserve”. This booklet was published by the Blackbutt Action Committee in opposing the construction of the highway. Figure 1 below, from the Federal Government December 1974 report, “The Impact of State Highway 23 on Blackbutt Reserve, Newcastle, New South Wales” shows how much of the western part of the reserve would have been severed had the highway proposal not been blocked by staunch community opposition. 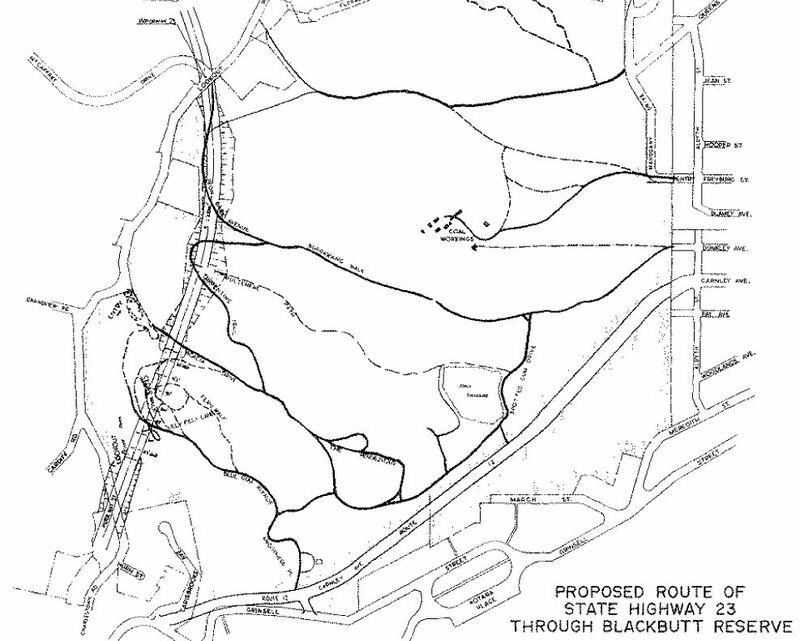 Proposed route of State Highway 23 through Blackbutt Reserve in the 1960s. 9 Apr 1931 First mention of the name "Blackbutt Reserve" in the newspapers. 12 May 1931 Thirty to forty aldermen of the city and district inspect the Blackbutt area. The Mayor of Newcastle (Ald Parker said that they "were definitely impressed that if acquired for a reserve it would be an asset to the district." 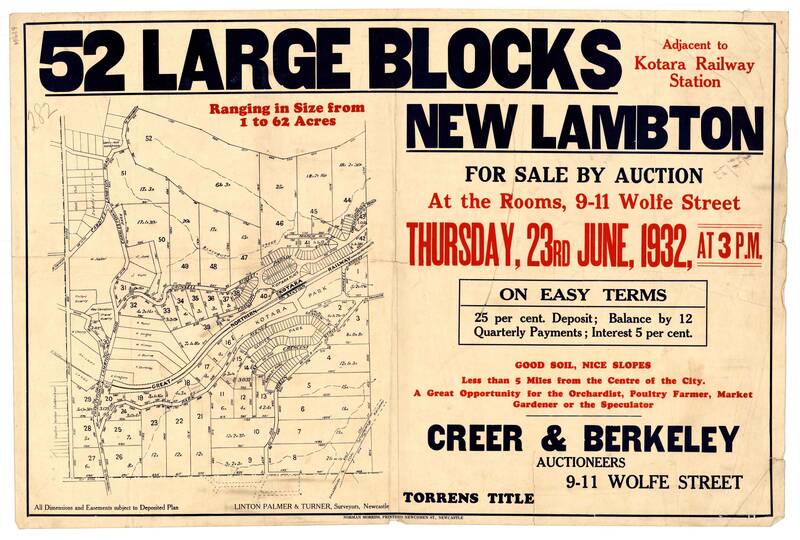 11 Jun 1932 Advertisement for auction of 52 blocks of land, in the area of the south part of Blackbutt Reserve. 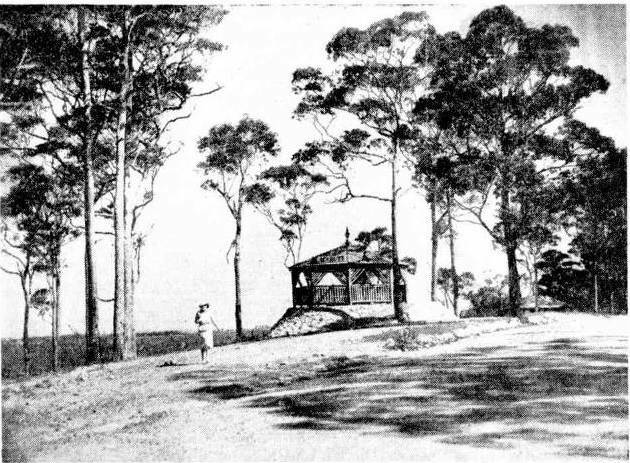 11 Aug 1932 "An area of 17¾ acres in Blackbutt Reserve imnmediately below the Look-out, has been bought by the Returned Sailors and Soldiers' Memorial Institute. The purchase will serve a dual purpose, for not only will returned men willing to work for any relief they may obtain from the Institute carry out their undertaking there, but the Institute will settle a few ex-service men there on small allotments." 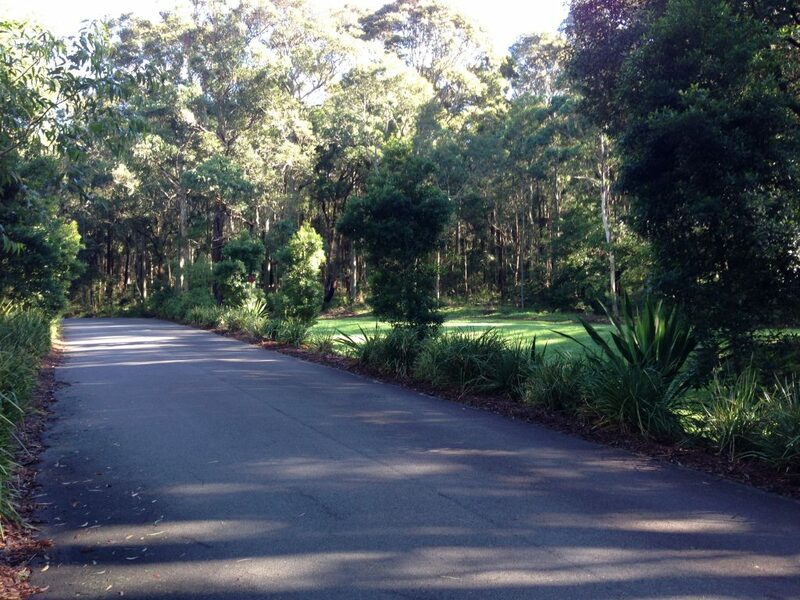 This block became the first official part of Blackbutt Reserve in 1938. 5 Jan 1937 Convinced that Blackbutt Reserve is inappropriately named, the Mayor of Newcastle (Ald. H. Fenton), in his capacity of Chairman of the Local Govern ment Coordination Committee, is urging the adoption of a more attractive title. He suggested last night that if the reserve was dedicated as a memorial to King George V., it could be called the "King George V Memorial Park." Or there might he support, Ald. Fenton added, for a proposal that the area be known as the "Duke of Windsor Reserve." 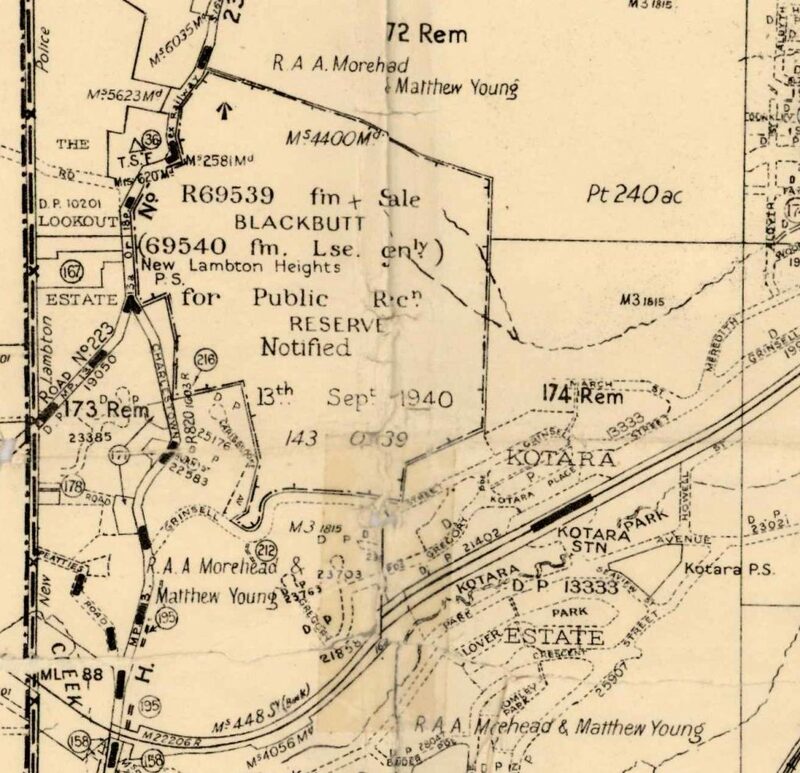 4 Mar 1938 Official resumption of 17 acres of land (Lot 51) for Blackbutt Reserve. 14 Sep 1966 A public meeting will be held to protest against the Main Roads Board decision to route a six-lane highway through Blackbutt Reserve. A few hundred metres from the site of Middle Pit, in the bush adjacent to Richley Reserve, lies this rusting coal bucket, a poignant symbol of the way in which the decline of coal mining gave rise to a nature reserve. 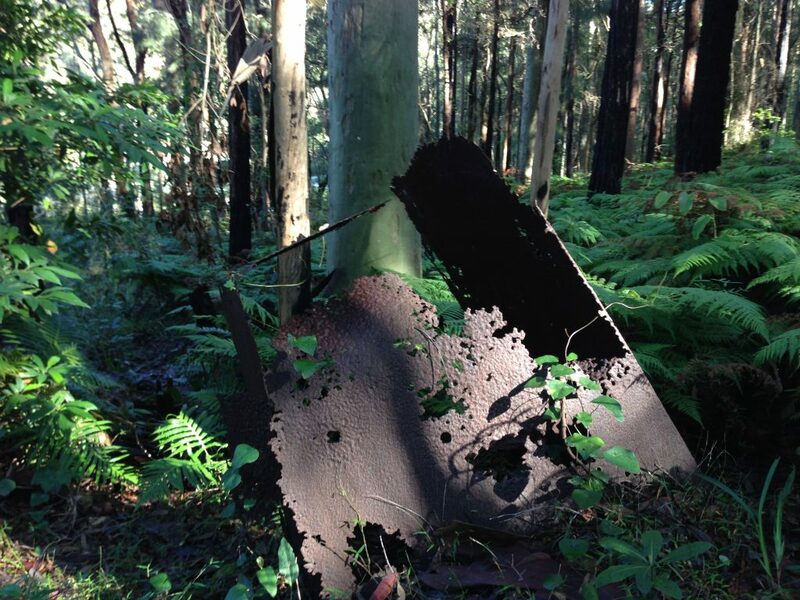 Rusting remains of a coal bucket, lying in the bush close to Richley Reserve. We received a brochure regarding Blackbutt Reserve with our recent rate notice. It stated that had it not been for the tireless campaigning of Ald Joy Cummings and many others in the community it would not exist in it’s current form. I was under the impression that Ald Purdue was a driving force for the establishment of the reserve in it’s current form. He and Joy Cummings later became Lord Mayors and Ald Cummings was behind establishment of Honeysuckle. Ald Purdue’s Son is a current campaigner for retention of green belt in Minmi area. Are you able to satisfy my curiosity? “Newcastle Council tonight will be asked to agree to the inclusion of another 106 acres of bushland in the Blackbutt Reserve. A joint committee of its Finance and Works Committees, which inspected the area yesterday, will recommend that the State Government be asked to acquire the extra area, and either have it vested in the council or make the council the trustees.